NZCU Employees’ new Business Development Manager Sili Aii-Lale’s parents were only 18 years old when they came to New Zealand from Samoa. The couple worked hard to save for a deposit to buy their Mangere home and Sili’s hope is that more of its members can realise their own savings goals with her help. “I love the environment because it’s all about the members and the people involved,” she adds. As a proud Christian who says she walks by faith, not by sight, Sili enjoys being in a role that not only lets her work with members towards fulfilling their goals, but come up with strategies to bring in more members and business to the credit union. It’s not new territory to the south-Auckland born and raised Sili, who has been in the banking industry for more than 20 years. With a Commerce degree from the University of Auckland and Diploma in Business from Manukau Polytech (now Manukau Institute of Technology or MIT), Sili began as a personal banker in one of the main banks, working her way up to senior positions before moving into management. She worked as a branch manager at a credit union before taking on the role of Business Development Manager at NZCU Employees. “It’s just the same concept, really. I want to help people with short term goals, like savings and budgeting before moving into long term goals like investments and mortgages, with the eventual realisation of home ownership,” she says. “The satisfaction is knowing they’re reached their potential, whatever their goals are so, if it’s to buy a new house then the success for me is helping them follow it through to the end, making it as smooth as it could be for them. If it’s savings, I want them to understand that we understand their whys and remind them of it on their savings journey,” Sili adds. Sili knows she has come at the right time, having experience with the new banking system which went live in February 2019. 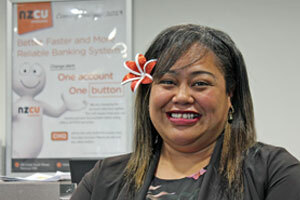 There are many benefits from the new system and she’s glad the NZCU Employees member base are now receiving those benefits, too.